3 September: BBC Radio 2: Interview on “Steve Wright in the Afternoon”. 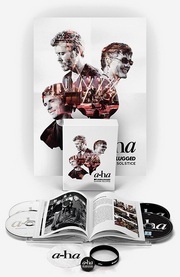 3 September: GoTV (Austria): a-ha present their favorite music videos in a 1-hour “Hosted by”-special. 3 September: Hamburg: Deutscher Radiopreis (The German Radio Awards), performing “Forest Fire” and “Foot Of The Mountain”. They will also receive an honorary award. ARD radio/NRD television. 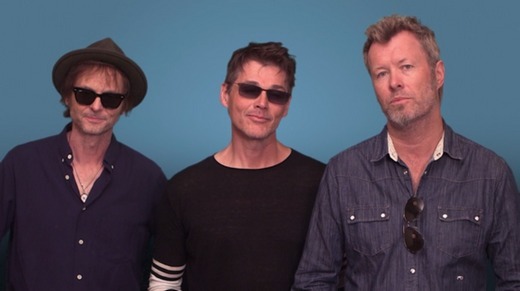 In connection with yesterday’s announcement of two private a-ha concerts for Hydro employees in the Pará area in Brazil, Hydro has posted a short video greeting from a-ha on Facebook. Hydro has also posted a YouTube video where the members of a-ha share their thoughts on Kygo’s new remix of “Take On Me”. Two new interviews in German have been posted online recently, by Mittelbayerische and Berner Zeitung. – This time you’re doing the interviews together. Does that mean you’re finding it easier to agree on things than before? – Has it been easy to record this comeback album? – The music of a-ha is easily recognizable. Did you want to build on this tradition with Cast In Steel? – Do you already know when you will disband again? 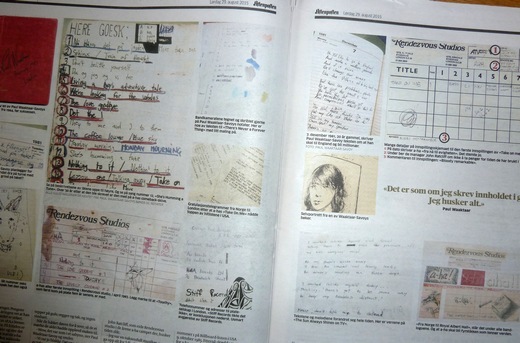 Today’s edition of Aftenposten includes an extensive 7-page article that tells the story of how two of a-ha’s biggest fans, P.A. Stenersen and Christopher Hopkins, managed to rescue a number of early a-ha recordings and notebooks, ending a decade-long legal stalemate between a-ha and their controversial first manager John Ratcliff. Many of these early recordings are now included on the new 5-disc 30th Anniversary Super Deluxe Edition of Hunting High and Low, to be released on September 18th. Getting his old notebooks back also inspired Paul to record one of the early songs, “She’s Humming a Tune”, which has ended up being one of the tracks on Cast In Steel. “When I got the books back, I saw the lyrics and remembered ‘oh yeah, that one was cool’. Then I thought it would be cool to record this one in particular now”, Paul says. An English translation of the entire Aftenposten article has been posted online at Aftenposten.no. As part of a-ha’s ongoing partnership with Norwegian industrial company Hydro, the band will play two exclusive concerts for Hydro employees in the Brazilian cities of Barcarena and Paragominas on October 1st and October 3rd. The info is available in a press release posted on Hydro’s Brazilian website. Although the two concerts are closed to the public, fans in the area have a chance of winning tickets to the Barcarena concert, by taking part in a Hydro competition on Instagram called “Renew your passion for the future”. A jury will choose the 30 best pictures. In addition to the two concerts, Magne and Morten will take part in local environmental projects supported by Hydro. In Barcarena, Magne will do a workshop with young students, using recyclable materials. In Paragominas, Morten will take part in a seed planting project in a reforestation area. Magne will also be exhibiting some of his art in the Museum of Contemporary Art in Rio de Janeiro, opening on September 28th. The “Under The Makeup” music video officially premiered on YouTube yesterday, after a preview clip was first shown on German TV on Friday. The video is now also available on VGTV in Norway. The video was shot in the Nissedal area in Telemark two weeks ago, and features the actresses Sofie Gråbøl from Denmark and Frida Farrell from Sweden. “The German director [Bode Brodmüller] came in contact with Gråbøl, and the band members are big fans of her, so they were really happy”, a-ha manager Harald Wiik tells VG. “In our opinion she is one of the most interesting character actors we have in Scandinavia. A music video doesn’t necessarily involve much acting, but her presence adds more weight to it – it suddenly becomes “The Killing” meets James Bond”, Magne says. 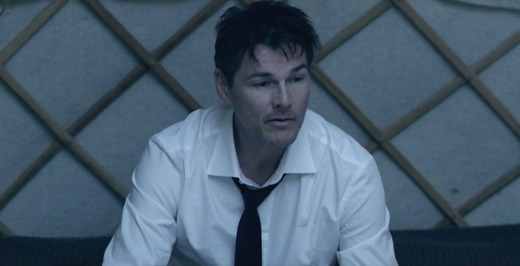 “It’s not the first time someone kills Morten in our music videos, but it’s extra fun when Sofie Gråbøl is taking part in the crime!”, he adds with a laugh. “Director Brodmüller was very focused on keeping the Scandinavian landscape and the Scandinavian feeling – a certain Wallander atmosphere – and also trying to get an actress who was already well-known in Scandinavia and Germany for her role as a detective inspector. Luckily the schedules matched up and she was able to be a part of this project, albeit in a slightly different role”, Britta Ostermann of a-ha’s German management tells VG. The version of the song used in the music video is quite a different mix than the radio version released last month. The orchestra is more muted, while the piano, acoustic guitar and backing vocals are brought forward in the mix. An improvement, some would say, as the orchestra was quite overwhelming in the first version. 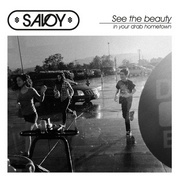 This new mix is also the one used on the album, judging by the preview clips. 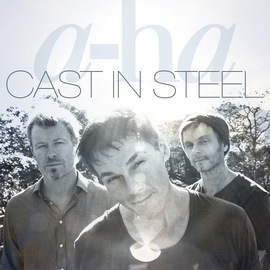 The first preview of the rest of the songs on Cast In Steel was posted by a-ha.com today; the Harket/Olsen/Kvint song “The Wake”. More previews will be added daily, check out the full list on a-ha.com. On 3 September, a-ha will be performing two songs live at the Deutscher Radiopreis (The German Radio Awards) in Hamburg; “Foot Of The Mountain” and “Under The Makeup”. This according to a post by the German forum. The show will be broadcast live on ARD radio and aired later in the evening on NRD television. 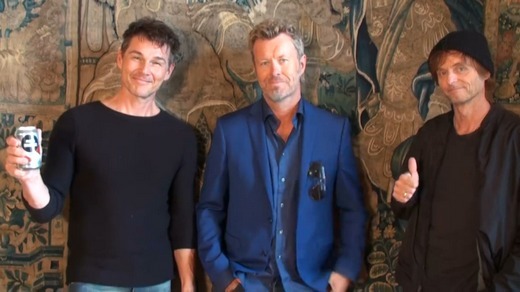 On 4 September a-ha will be performing live on the ZDF talkshow Aspekte, which is taped in Berlin. All tickets are already gone, but the TV broadcast will apparently also be streamed online. And on 5 September is the previously announced Goldene Henne 2015 award show on MDR and RBB – now confirmed to be a live performance of two songs. It has now been confirmed that this week’s a-ha music video shoot was for “Under The Makeup”. The shoot took place somewhere in Telemark, Norway from Monday 10th to Wednesday 12th August. There has been some confusion surrounding whether the German release of “Under The Makeup” on 21st August had been cancelled, but that info turned out to be wrong and the single release is going ahead as planned. 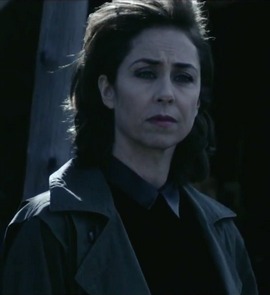 The music video will feature Danish actress Sofie Gråbøl, known from the acclaimed Danish TV-series Forbrydelsen, its American remake The Killing and most recently the British series Fortitude. “Under The Makeup” is currently being used to promote the German TV station Sat.1’s weekly Samstagskino (Saturday Movie) in August. A video clip where a-ha also appear at the end can be seen here. 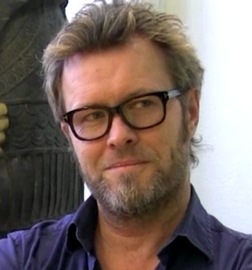 There’s a special emphasis on the 2012 movie Mirror Mirror – a movie in which Morten and his daughter Tomine provided the voices for the King and his daughter Snow White in the Norwegian-language version. Another new promo clip has been posted on on the website of Universal Germany, where fans can win guestlist-access to one of the German concerts next year. gotta love videoshoots. in case you were wondering: paul & i are supposed to be detectives (wallander type – not the singing kind) botching up the case. (naturally). a-ha will be performing at the Goldene Henne 2015 award show in Berlin on September 5th, the day after the new album Cast In Steel is released. The show will be held at the Berlin Velodrom with 4500 people in the audience, and will air live on the TV stations MDR and RBB. Other acts scheduled to perform include Karat, Die Prinzen, The BossHoss, Andreas Gabalier, Santiano, Oonagh and Johnny Logan w/ Olaf Berger. More info in German is available in a press release at presseportal.de.